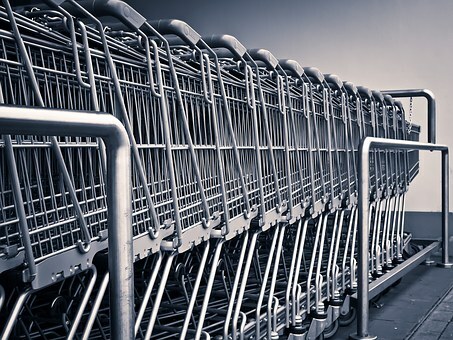 In Various Claimants v WM Morrison Supermarkets Plc  EWHC 1123 Mr Justice Langstaff held that the claimants’ conduct of the claim led to unnecessary costs being incurred. Consequentially the defendant was ordered to pay the claimants 40% of the costs. The claimants had been successful in a group action for disclosure of data. The case was put on twp basis (i) direct liability; (ii) vicarious liability for breaches by the defendant’s employee. The judge rejected the case based on direct liability. He found for the claimants on the issue of vicarious liability. The court was then asked to consider the issue of costs. The defendant argued that the claimants’ conduct in bringing the action for direct liability was unreasonable and should lead to an order for costs on the defendant’s favour, alternatively no order for costs. The judgment contains a detailed review of the caselaw and principles relating to the court’s discretion as to appropriate costs orders. The judge had little doubt that the claimants’ decision to pursue a claim for direct liability led to the costs of the litigation (not just the trial cost being increased. Of the six witness statements prepared by the Defendant, it seemed to me that three were made necessary almost entirely because of the failed case on direct liability. When Mr. Barnes was asked to address the extent of overlap between the direct and vicarious cases, he did so by reference to some 6 points. Ms Proops then argued that these points simply did not establish any true overlap. Though I had had in mind a more generous allowance towards the Claimant’s costs before these rival arguments were made than that which I am ultimately going to award, they demonstrated to me that the amount of time and resource spent establishing the vicarious case (including common costs) compared to that involved in defending the direct liability claims was indeed closer to the respective weight of the two cases as indicated by the length and detail of the pleadings in respect of each than the impression I was left with immediately following trial. I have little doubt that if the trial had been in respect of vicarious liability alone it would have been concluded (judgment apart) in less than half the time it was. The Claimants have had the indulgence of pursuing claims which were tenuous (to which the Defendant early on gave cogent answers), at unnecessary length, pursuing disclosure that was principally related to those claims. The Defendant should not in justice be required to pay for this, but rather be made subject to a costs order which reflects the fact that it succeeded in resisting those claims. (c) also reject the Claimants’ arguments that they should have the entirety, or alternatively a very high percentage of their costs of the action: they are unrealistic in asserting that a maximum of some 20% of time and evidence was spent on the direct liability cases alone, and have considerably overstated the extent of the issues common to both the direct and the vicarious claims. Instead, and overall, I have come to the conclusion that the proper order is that the Defendant pays the Claimants 40% of their costs of the action, to be assessed if not agreed.